You probably write out your rent check every month without too much thought. And you probably go about your day without worrying how much time you’re spending at each stop. But if you’re curious, we calculated where that rent check really goes and what your time both at home and away is actually costing you. Join us as we show you why your time is money and how much it is actually costing you. 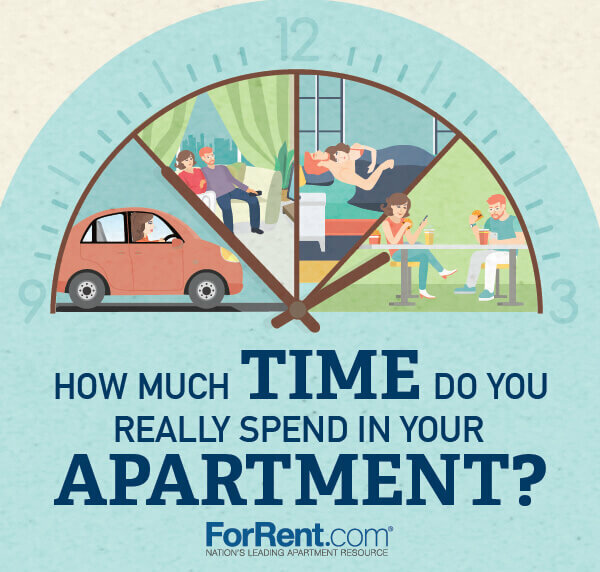 This great infographic describes how much time you really spend in your apartment. According to the infographic, adults with children spend 534 minutes in working and only 72 minutes in caring for others. Find out how 1-bedroom apartment rents compare in numerous cities including New York City, Atlanta, Las Vegas and Omaha. Now that we know how much your apartment is costing you by the minute, check out how much you are spending at home while you are lounging around.